Religion is said to be a collection of cultural systems, belief systems, and worldviews that relate humanity to spirituality and sometimes, to moral values. Religion is the royal highway that leads us to God. All great Masters and Prophets established several pathways to enable human beings to make a connection with and eventually realize their true Divine Self. The basic truth of spiritual oneness is the anchor point of every religion. Jesus declared: “All are one, be alike to everyone.” He preached the “brotherhood of man and the Fatherhood of God”. 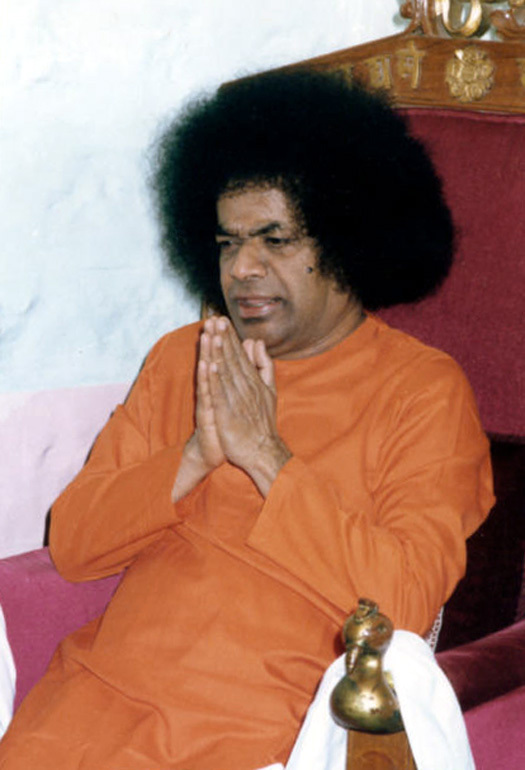 Bhagawan says that in the term Allah, “A” stands for “Atma” and “La” for “Layam” or mergence. Therefore, invoking Allah signifies merging in the Atma which is the One God. The Upanishads emphasizing the oneness of humanity declare “Sahasraaksha Sahasrapaad” - All eyes are God’s; all feet are His; all hands are His. The ancients declared, “Ekam Eva Adveeteeya Brahma” – Brahma is Not two, Only One. Bharathiya Philosophy explains this principle of Oneness with the example of the ocean, wave and the foam. What can be seen, observed and measured clearly is the foam that forms on the sea wave. This is what one refers to as empirical reality or in Vedantic parlance, Vyaavahaarika. The waves are seen apparently, but they do not have any permanent reality. One can never catch a single wave, as it keeps changing its form and shape and eventually crashes against the shore assuming its true form of water. Therefore the wave is only an apparent reality. This is called Praatibhaasika. The foam has its existence only so long as the wave has its existence. The empirical is based on the apparent. Further, both the foam and the wave are actually temporary manifestations of water that is the ultimate reality. Water transcends both the wave and the foam. Even when the wave and foam lose their form, shape and name, thus losing their very existence, the water remains. Water is referred to as Paaramaardhika or the transcendental reality. Drawing a parallel with our human existence, our physical body is like the foam, the mind is like the wave and the Atman or consciousness is the transcendental reality like the water. Therefore, religion is the process of discovering that the physical body is only an empirical reality that is accessible to our sensory perceptions, the mind on the basis of which the body exists, is only an apparent reality; but ultimately the Atman or the Soul is the transcendental reality. The foam has to merge and become the wave; the wave has to merge and become the water. One has to realize the eternal Self as one’s true source and make one’s journey back unto it. This journey is what religion is all about. Therefore, it is imperative to have a correct understanding of religion and an appreciation of the underlying unity in all religions. 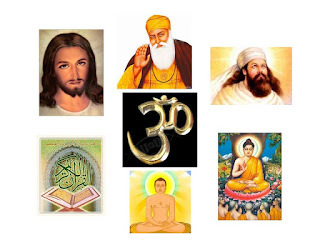 This theme of “Unity of Religions” is presented in 5 parts. Part-I is an introduction to Religion. In Part-II Bhagawan explains the reason for diversity in religions. Part-III deliberates on the principle of Oneness that is common to all religions. In Part-IV, Bhagawan expounds on the unique statement made by Him, ‘There is only one Religion; the Religion of Love”. In Part-V, Bhagawan appeals to all people not to criticize any religion and to respect all religions. Part-III of this theme focuses on the Principle of Oneness that is propagated in all religions. The four audio extracts in this posting are taken from the Discourses delivered by Bhagawan in the years 1985 and 1991. Clip-1 explains how all great Masters have propagated only broad and all-inclusive feelings, focusing on the Oneness of the Divine Principle. 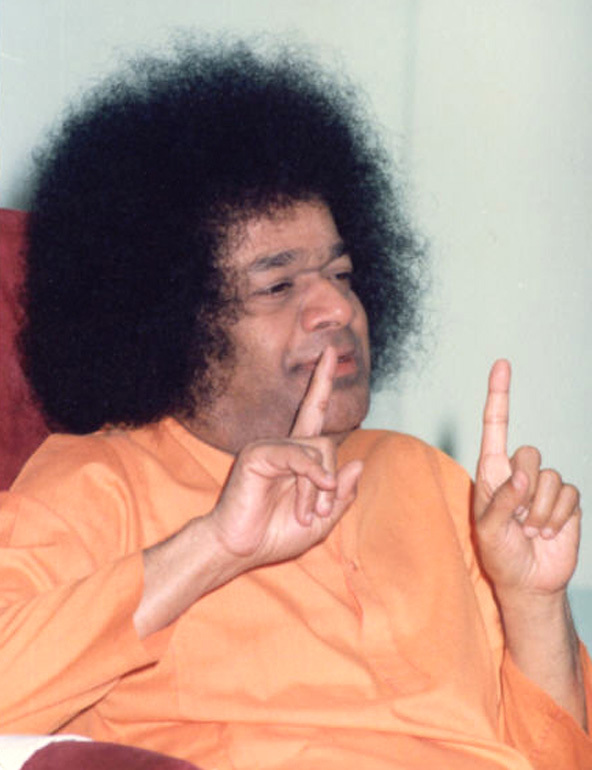 In Clip-2 Bhagawan describes with examples, how various religions like Hinduism, Christianity, Islam, Jainism and Buddhism preach the principle of Divine Oneness. Clip-3 reiterates the same message as in Clip-2. Finally in Clip-4, Bhagawan highlights the message of Christianity, “All are One, be alike to Everyone” and also the message of Vedanta that the Human Body is a like a moving temple of God. Truly speaking, be it Jesus or Rama, or Krishna or Govinda, or Zoroaster or Allah, all these noble Masters preached very broad and expansive feelings. But no religious people are following their good teachings. If the teachings of the Founder of a religion are not followed, can it be called a religion? Those who, in the name of religion, further their selfish interests, are bringing discredit to the very founder of the religion. Therefore, the first thing to be learnt is that there is only One God. Men may be different in form and name. The impact of the geographical region, time and circumstances may vary. There may be differences in colour (of the skin). But, God has no such differences. Hence, you should not hate any religion, you should not criticize any religion, and you should not look down upon any religious principle. You may profess whatever faith you like. Devotion that criticizes another’s religion is no devotion at all. Although in terms of physical form and action, human beings appear different, in terms of the Spirit they are all one - this is the truth propagated by Christianity. It declared that all are the children of one Lord and it appealed to humans to develop the feeling of Brotherhood of Man and Fatherhood of God. “Eko Vasi Sarvam” - this basic truth of the spiritual oneness of all creation is emphasised at every stage in Bharatiya culture. “Ekam Sath Vipraa Bahudhaa Vadanthi” - The Reality is One; the wise call it by different names. The Ultimate Reality is One only. Your mental reactions give rise to multiplicity. What you have to offer to the Lord is Ekaatma Bhaavaa (the feeling of spiritual oneness). 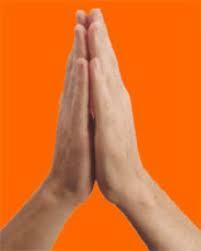 Bharatiyas have the practice of folding the two palms together and offering Namaskar (salutation). What is the inner significance of this form of greeting? It is an expression of the Unity in Diversity. In Islam, the expression “Salaam” is used as a form of greeting. “Sa” in this term signifies the combined expression of Saalokyam, Saaroopyam, Saameepyam and Saayujyam (Seeing the Divine, having the vision of the form of the Divine, proximity to the Divine and merging in the Divine). When these four expressions of “Sat” are combined and merged into one “La” signifying merger; you have Salaam (the merging of the many in the One). In Christianity, the term “Yesu” (Jesus) is used (to describe Christ). “Ye” means oneness. “Sa” means Divinity. God is One. There are not many. Therefore, the inner meaning of “Yesu” is to merge the mind principle in the Oneness of God. In Jainism also, the same principle was taught by Lord Mahavira. When the senses are allowed to have their way, all kinds of reactions and changes occur. It is only when the senses are brought under unified control that the nature of Divinity can be comprehended. All are one. Bodies are different. Jewels are many, but gold is one. This is how all religions propagated the Divine principle of Oneness. The Buddhist religion has also propagated this same principle of Oneness. It is Love that must manifest in every human being. Even without anything, life can go on; but if there is no love, life will come to a standstill. For every being, love is the very life force. Only when such love arises in man, he will not give in to violence. He (Lord Buddha) taught that to manifest Divinity in us, we need to first develop love in us. Therefore, if we understand the teachings of every religion correctly, we will be able to recognize only unity therein. Thus, differences in religion pollute the mind of man. No one should entertain any differences in religion. We must firmly believe that though human beings may appear different (physically), the God residing within is one and the same. In such circumstances, to blossom, manifest and nurture humanity, time and again, Avataars, Spiritual Masters and Prophets, descend on the earth. There is only one God, one goal, and one Divinity residing in every human being. Therefore, there are no differences between Hindus, Muslims and Christians on this basic concept. The essence of all the religions, the basis of all the scriptures, the goal of all the paths, is the Divine Principle alone. But unfortunately without going by this Truth and without walking along the path of Truth, based on their feelings, people are getting on to the wrong path. In the country of Bharath, when one individual greets the other, with the simple gesture of joining and folding the hands, one uses the word “Namaskaaram”. What is the inner significance of this gesture? The coming together of the two palms and the demonstration of the unity therein, teaches that the Unity in Diversity itself is God. It also represents the offering of the five sense organs (Karmendriyaas) and the five organs of perception (Jnaanendriyaas) i.e. the ten senses to the Lord, as an act of surrender. The Muslims use the term Salaam as a form of greeting. What does this word mean? “Sa” refers to “Sat”, the Lord who is the embodiment of Truth; the embodiment of Sath-Chith-Ananda (Truth-Awareness-Bliss); the form of the syllable “Sa”. “La” means “Layam”" (mergence). Salaam means merging in the Supreme Divine which represents the form of “Sa”. Christianity also has similar expressions. All the religions have preached the Truth of Oneness of Divinity. “Yesu” consists of two letters. “Ye” means One. “Su” means God. “Yesu” points out that God is One. No founder of any religion has ever preached hatred towards other religions. All religions have preached the Oneness of God. Lord Jesus declared that the being (Jiva) or the life principle in all the human bodies is one and the same. When Jesus was being harassed by the Jews, an ethereal voice declared, “All lives are one, my dear Son. Be alike to everyone.” When Jesus was being crucified, the same ethereal voice declared that “Death is the dress of life”. The human body is only vesture for the Spirit. The dress of the human body can be changed regularly, and there is no suffering on account of this. This was the truth proclaimed by the Bharathiya Vedanta, “Deho Devaalaya Prokto, Jeevo Deva Sanaatanaah” (the human body is a temple of God in which the Eternal Spirit resides as the Indweller). The ancient Lord dwells in this relatively new body since time immemorial. 01-What are the various aphorisms in Bharathiya culture that highlight the principle of Divine Oneness? 02-How does the mode of greeting each other among the Bharathiyas communicate the principle of Oneness? Give both the interpretations given by Bhagawan. 03- What does the term “Salaam” in Islam, signify? Give both the interpretations given by Bhagawan. 04- How does the term “Yesu” represent Oneness of God? 05- What is the meaning of the statement, “Deho Devaalaya Prokto, Jeevo Deva Sanaatanaah”?.